Helping to keep Instant Photography alive, one camera, one user, one shot at a time. The charts below show the major differences between packfilm camera models. When searching for what camera may be best is a subjective thing. With the differences outlined, it should be easier to understand why one might be considered better than another. For a listing of every model’s specifications, and photos of camera models see the Optional Land List. For a listing on the films available for these camera see here. All cameras here, except where noted, are automatic aperture priority cameras powered by batteries. 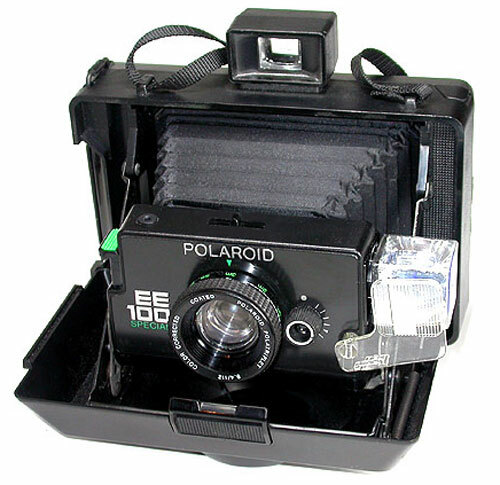 Automatic packfilm cameras do not allow you to choose fstops, but instead give you set fstops with which a shutter speed is chosen by the camera for the available light. “Better” models give you more fstops to work with. Use common sense to know when you would need a tripod to avoid camera shake. If you need to know how to load your camera there is a section for that. 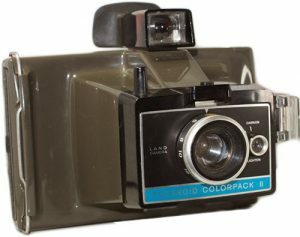 For advice on Polaroid cameras see the Buying Tips page. Below are the manual folding models. Instead of electronics and electric eyes, there is a leaf shutter. These allow for specific speeds and fstops. You can also try to build your own. All of these cameras have varying specs. This is just a quick synopsis of important differences and it does not cover all models. International models, found here. 75 ONLY fixed focus rangefinder with split image NO BATTERIES! Below are cameras that ONLY take discontinued 80 series square packfilm. Differences between models is quite negligible. This is just some notes about each. See the Land List for specs. 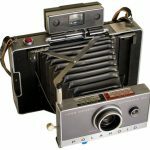 Polaroid, Land Camera and other names are trademark of Polaroid Corporation. 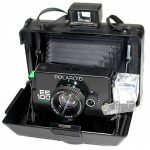 No endorsement or approval by Polaroid Corporation is implied, nor is Polaroid responsible for the accuracy of the content of this web site. Remember, any damage caused to your camera or self or whatever from following tips on this web site are your own responsibility. Safety first!